Cubot, a Chinese mobile phone manufacturer, has also entered into the notch screen display which is a trending display design on all latest phones. 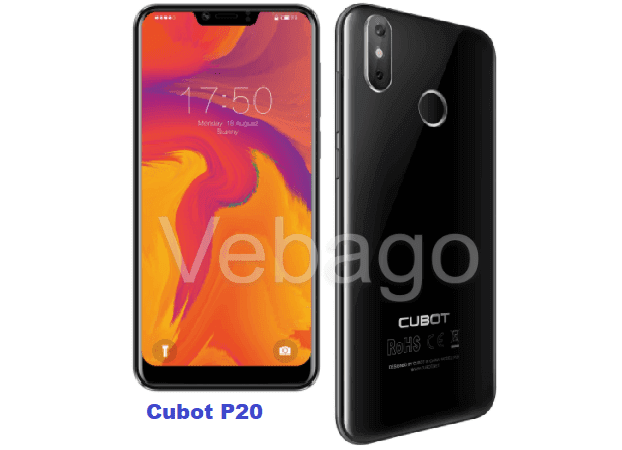 According to the most recent leaks, it is expected that the new model named Cubot P20 which comes with a notch design. The Cubot P20 is expected to come with a 6.18-inches 19:9 FHD+ display which has a top-notch design in the middle and a front camera for selfies. The smartphone runs on Android 8.0 Oreo and is powered by a 4000mAh battery. The device comes with a 1.5GHz Octa-Core MT6750T processor coupled with 4GB of RAM and 64GB of internal storage. The Cubot P20 features with a 20MP+2MP dual rear camera which is aligned horizontally and a fingerprint sensor on the back for unlocking the device with your fingertips. Stay tuned to vebago for more updates.